Three Monash academics from the School of Languages, Literatures, Cultures and Linguistics (LCLL), Associate Professor Beatrice Trefalt, Ms Yacinta Kurniasih and Dr Paul Thomas, have been awarded funding from the Victorian Department of Education and Training (DET) to undertake two Indonesian language projects. The first project is the Indonesian Language Immersion Program, which will design and facilitate immersion courses for over 100 Indonesian teachers at intermediate and advanced levels across Victoria. 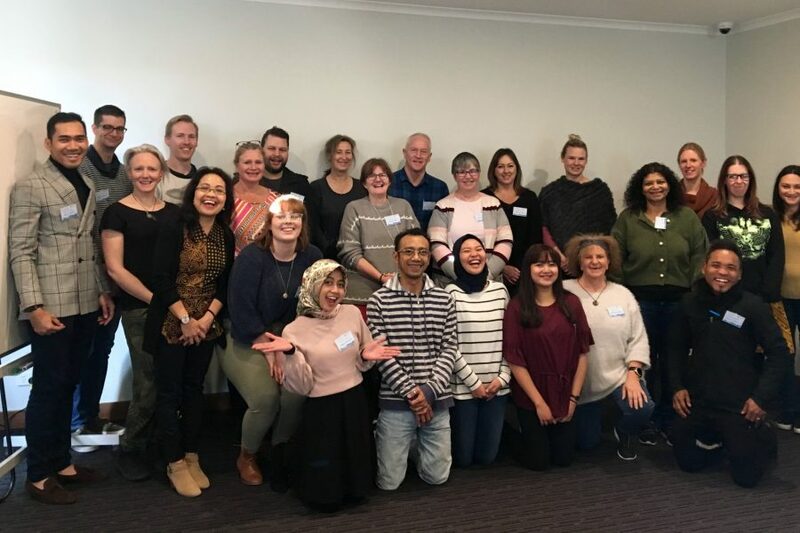 Each workshop is comprised of two days of full Indonesian language immersion over five residential weekends in five locations across Victoria (Phillip Island, Bendigo, Geelong, Macedon and Clayton). The first workshop has already been completed with great success, attracting more participants than anticipated. The second project is a report on the teaching of Indonesian in Victorian government schools, which will develop a specific rationale for learning Indonesian in schools and recommend appropriate strategies. Ms Yacinta Kurniasih said the long-term impact of these projects will be the development of a strong and useful rationale for schools to underpin their Indonesian language programs. “The immersion program will help teachers refine and update their language skills and develop confidence in their ability to teach Indonesian to their students. The workshops help develop a supportive network, which these teachers can use to review their course materials,” Ms Kurniasih said. Both projects are leading examples of LLCL's Impact and Engagement activities, and part of the School's ongoing collaboration with DET.